As the Council of Deans of Health chair prepares to stand down from her role after three years, she tells Nursing Standard why she supports the introduction of tuition fees for undergraduate nursing degrees, and remains cautious about the new nursing associate role. role at CoDH in June. Nurse education is undergoing major change in 2017, with new nursing associate and nursing degree apprenticeship routes to registration, as well as proposed changes to education standards. On top of this, undergraduate nursing degrees in England will, as of September, rely on a model of tuition fees and student loans, bringing nursing in line with related subjects such as medicine. While this move is highly controversial, the outgoing chair of the Council of Deans of Health (CoDH), Professor Dame Jessica Corner, believes it is the right decision. Despite some unions linking the end of the bursary for nursing students to a 23% drop in nursing degree applications this year, Dame Jessica says the previous system was not sustainable. Funding and training places for nursing had been eroded, she adds. Professor Jessica Corner elected chair of the CoDH. As for the fall in university applications, Dame Jessica believes young people are being deterred from careers in nursing by 'constant negative media stories' about the NHS. 'It's important we combat this: nursing is a wonderful career; it can take you anywhere,' she says. 'I’ve worked as a nurse in academia and research, as a charity director and now I'm a university pro-vice chancellor,' she adds. Professor Corner is made a dame in the Queen's birthday honours for services to healthcare research and education. Within the funding, there is also a 'student opportunity premium', which helps universities to support students from different backgrounds. 'Given nursing is already made up of many of those students, this money is good news,' she says. Dame Jessica has also tentatively welcomed the new Nurse First scheme, which offers funded fast-track nurse training to high-achieving graduates from other related disciplines. While supportive of the programme's emphasis on career development and leadership, she says the CoDH is seeking clarification on details of scale, funding and location. At the other end of the scale, Dame Jessica believes there needs to be better capacity and funding in the system to enable more nurses to tackle doctorate-level roles. There are only 300 professors in nursing, accounting for about 0.05% of the workforce. According to Dame Jessica, that number should be closer to 6,000, or 1%, she says. Dame Jessica elected a fellow of the Academy of Medical Sciences. She also argues that nursing is still a gendered profession, and its research base and membership struggles to be valued in terms of science or taken seriously politically. 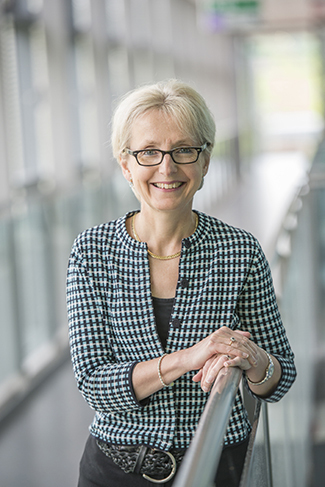 After three years as chair of CoDH, Dame Jessica will now continue with her role at Nottingham University as pro-vice chancellor for research and knowledge exchange. Another topical concern is the looming impact of Brexit on the nursing workforce, given 6% of nurses in training are EU nationals. Post-Brexit threats to research funding also loom large, says Dame Jessica. 'Our senior nurse researchers have done good work with European funding,' she says. 'The RN4CAST study comparing staffing levels and outcomes in hospitals and across the US was a European-funded study.